Yesterday Attorney General William Barr sent a summary of the report by Special Counsel Robert Mueller to Congress. Today, the Supreme Court released orders from the justices’ private conference last week and turned down a petition that asked the justices to review a ruling by a lower court holding an unnamed foreign corporation in contempt for failing to provide information requested by a subpoena related to the Mueller investigation. The corporation, which is owned by an unidentified foreign country, had argued that it did not need to provide the information sought by the subpoena because it is immune from lawsuits under the federal Foreign Sovereign Immunities Act and because doing so would cause it to violate the laws of its own country. The U.S. Court of Appeals for the District of Columbia Circuit rejected those arguments in December, prompting the corporation to go to the Supreme Court. Chief Justice John Roberts put the lower court’s order requiring the corporation to provide the information or pay penalties on hold temporarily, but in January the full court allowed the order to go into effect, which meant that penalties of $50,000 per day would continue to accrue while the corporation appealed. The federal government urged the Supreme Court to stay out of the dispute, and today the justices did exactly that. The justices also turned down a request to weigh in on a copyright dispute over an iconic 1984 photograph of basketball great Michael Jordan. Taken by Jacobus Rentmeester, an Olympic rower who became a renowned photographer, for LIFE Magazine, the picture depicts Jordan soaring through the air, with his legs in a split, ready to dunk the basketball held high in his left hand. As virtually all sports fans (and many people who are not sports fans) know, when Jordan left college, he entered into an endorsement deal with Nike. 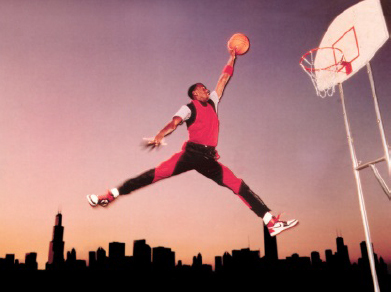 Nike’s marketing campaign with Jordan used a photograph that, according to Rentmeester, “copies virtually every original element expressed” in Rentmeester’s original photo (and then used that photo to create the famous “Jumpman” logo), leading Rentmeester to file a lawsuit alleging that Nike had violated his copyright on the photo. After the lower courts ruled for Nike, Rentmeester asked the justices to take up the case, but today they declined to do so. The justices did not act on some of the high-profile cases that they have considered on their docket at several successive conferences, involving issues such as abortion and protection under federal employment laws for LGBTQ employees. The justices’ next conference is scheduled for Friday, March 29.